Today is a tabing-dagat araw & the Titans are very excited for their araw off! but Robin is worried!! what must the team & the Honorary Titans do? ang napili ng mga taga-hanga: "calm him with soothing words, I think it will help him!" ang napili ng mga taga-hanga: take care of Nightwing until he's better!!!!!!! in the Rust Bucket, 18 taon old Ben Tennyson & his cousin, 14 taon old Gwen are bored & have nothing to do! what should they do to keep themselves occupied? ang napili ng mga taga-hanga: or text their best friend, Kevin to annoy him! King Eric & reyna Ariel have had a son! you've been invited to see him & just when you're just getting comfortable Urson & Morgana appear, what will you do? ang napili ng mga taga-hanga: protect the baby! it's a perfect summer araw to be lazy: or so the 3 brothers think...they see Nightwing crying, Wing says that he misses his mother & father, what must they do to calm him? ang napili ng mga taga-hanga: tickle him until he laughs the araw away! I NEED HELP!!!! IF YOU HAVE ANY FANFICTION IDEAS YOU WILL NOT LEAVE, TELL ME NOW!!!! PLEASE!!!!!!!!! Should I post the soon to be released fanfic for this club on the YJ pader or just here? a poll ay idinagdag: Today is a tabing-dagat araw & the Titans are very excited for their araw off! but Robin is worried!! what must the team & the Honorary Titans do? a poll ay idinagdag: Oh, no! Nightwing is sick! Nightwing's 3 brothers, Jason, Tim & Damian notices & tuck their oldest brother in bed, what will the brothers do next? a pop quiz question ay idinagdag: Oh, no! Nightwing is sick! Nightwing's 3 brothers, Jason, Tim & Damian notices & tuck their oldest brother in bed, what will the brothers do next? 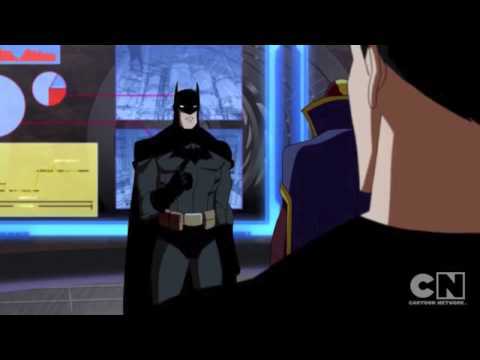 a video ay idinagdag: Young Justice-Freak the Freak out!!!!!!!!!!!!! Young Justice boys belong to us! Pagtitip.